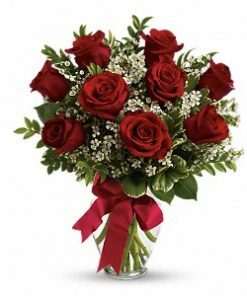 Somebody’s gonna get a beautiful surprise. 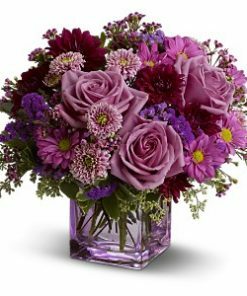 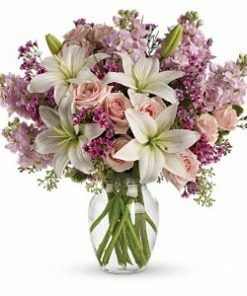 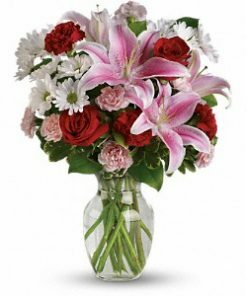 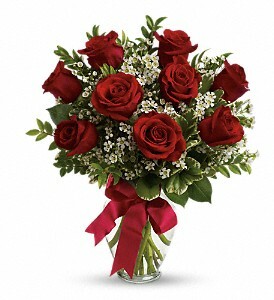 Imagine her smile when this lovely bouquet of roses arrives at her door – for no special reason at all. 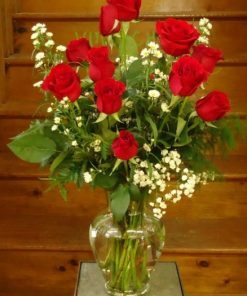 Except that you love her. 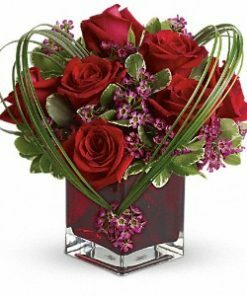 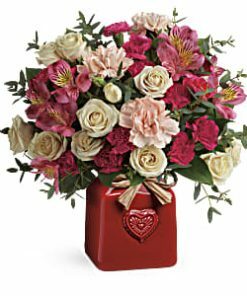 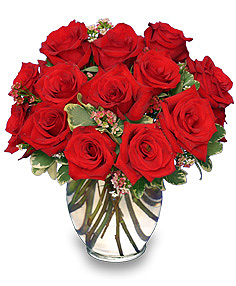 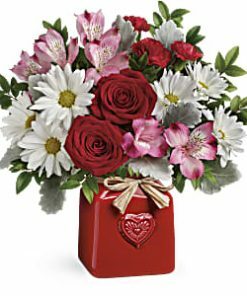 Includes nine red roses accented with white waxflower, huckleberry and pittosporum along with a red satin ribbon.